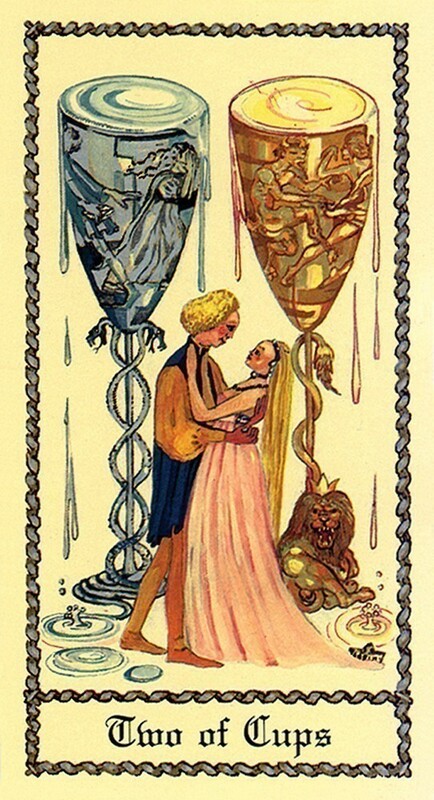 Italian artist Luigi Scapini’s lavish paintings recreate 15th century Italy in the gold-accented tarot deck. 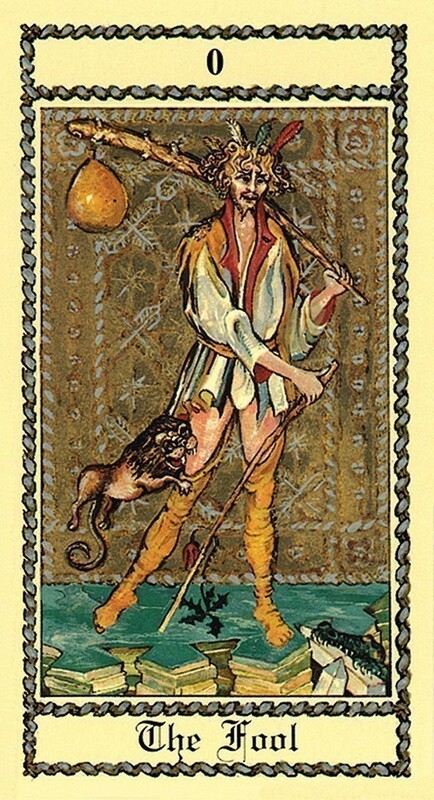 Both the Major and Minor Arcana include full scenes. In the Minors, symmetrical arrangements of the suit symbols provide composition around which the scenes are arranged. The depth of Scapini's art history expertise is evident in his lush settings and period costumes. 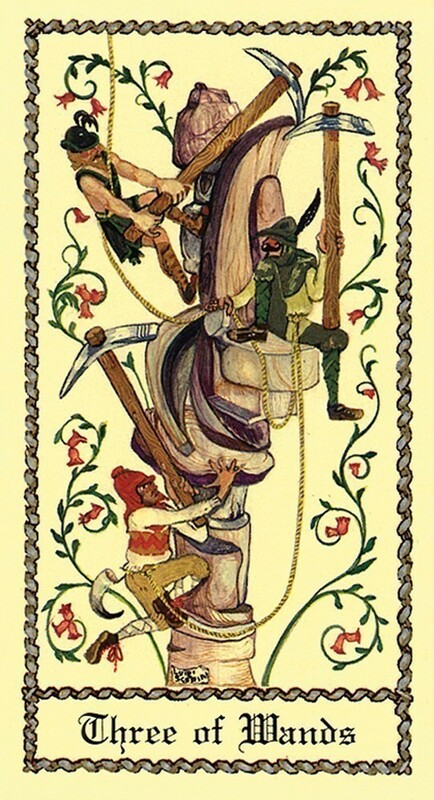 Interesting details, and sometimes-humorous references, are cleverly imbedded in the artwork, with many of the cards depicting historical figures, for example, Rasputin as the Knight of Cups. 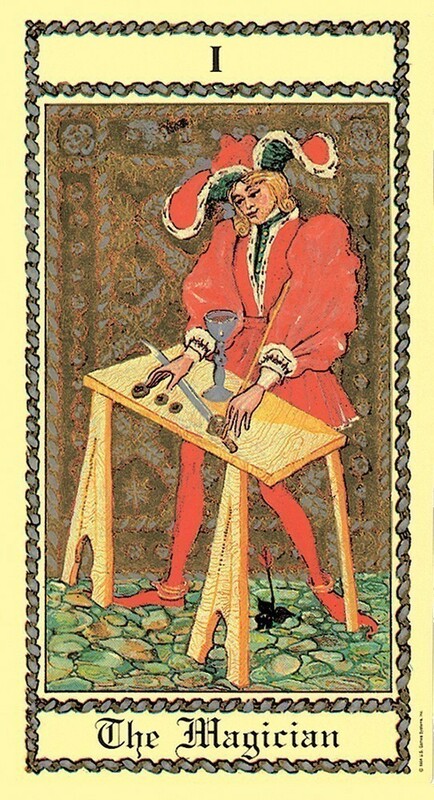 Readers will easily relate to the universal situations revealed in the cards, for pleasurable and insightful readings. 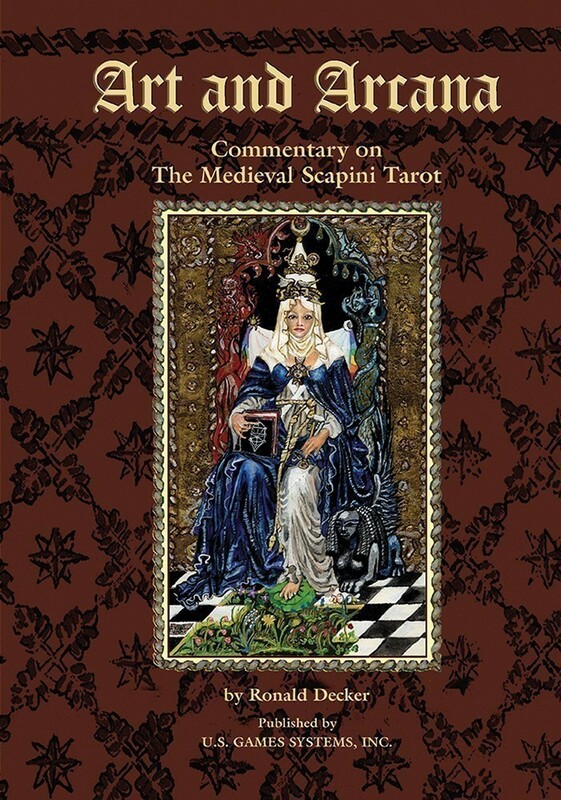 Art and Arcana: Commentary on the Medieval Scapini Tarot guides the reader through the history of tarot while reflecting upon 15th century Italy and the wonderful artwork that comprises this deck. Luigi Scapini created a deck that was rich in style and historical attributes, and here is a companion text worthy of partnership with his deck. 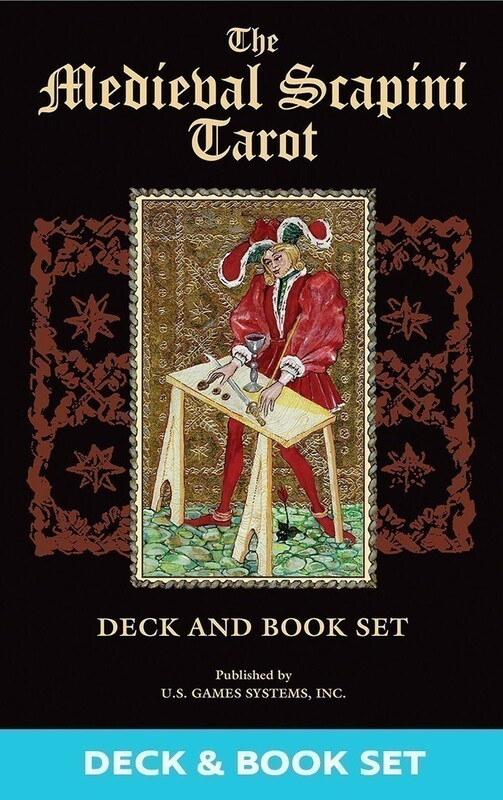 Ronald Decker is an art historian and has written previous tarot books in collaboration with Sir Michael Dummett and Thierry Depaulis. 282 pp., b&w illus., pb. Includes spread sheet. Box measures 4.625" x 7"